Alexander Rose Beach Lounge Aluminium Top Coffee Table: The Beach Collection Coffee Table by Alexander Rose comes in this stylish and modern design perfect for resting items on. 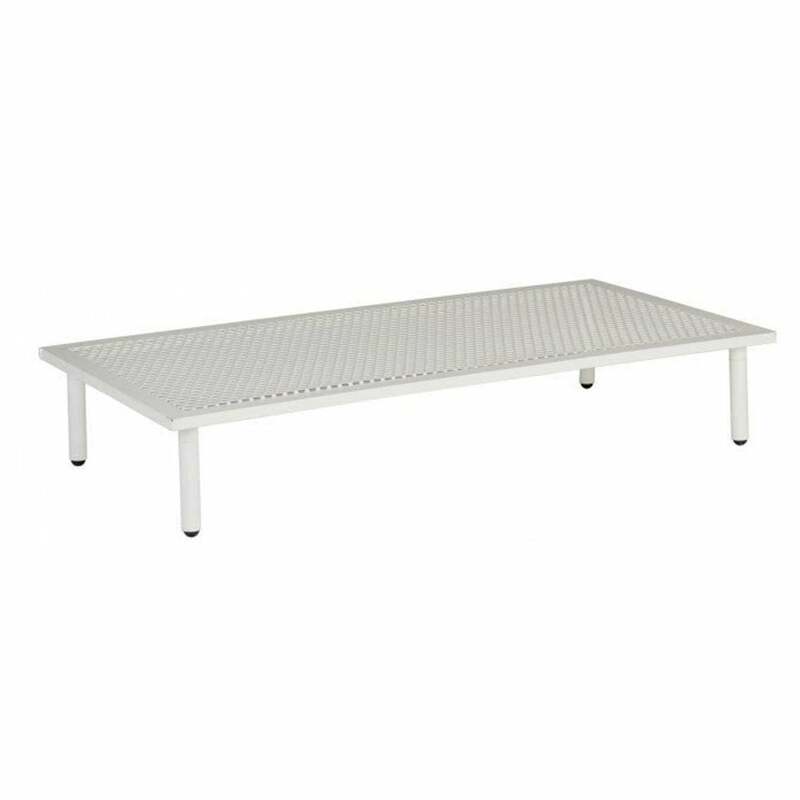 The Alexander Rose Table comes in a powder coated perforated aluminium mesh frame in a choice of flint grey or shell cream for a maintenance free design. The Beach Lounge Coffee Table would make a wonderful addition to the beach lounge range, providing an attractive table to complement the Beach Lounge chairs and includes a 5 year manufacturer’s warranty.